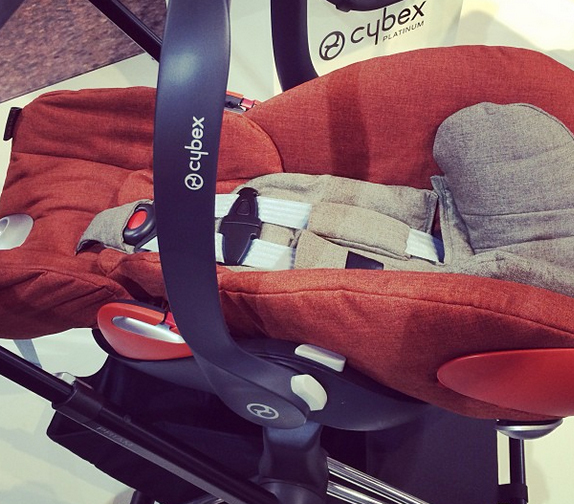 Since it's unveiling at the ABC Kids Expo, there's been a lot of buzz around the new Cybex Cloud Q reclining infant car seat, winner of the JPMA "Best in Show" award. First of all, let me say that the car seat looks absolutely awesome! Since there's been a lot of concern in the medical community regarding infants spending too much time in their car seats and the potential health risks that may result from this (too much pressure on the spine, compression of the lungs, reflux), initially, I was relieved at the thought that a flat-reclining infant car seat was finally released. I must admit, however, that something troubles me. 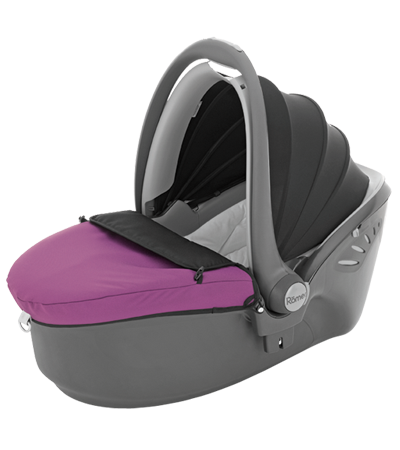 The Cloud Q will retail at around $400, and I'm sure that a large percentage of parents will find the cost of this car seat completely prohibitive. It really bites that only an elite minority will be able to have a peace of mind by using a healthier alternative to a typical infant car seat for their baby. I understand that a company who's pioneering a new product is out to make a profit and doesn't have to be altruistic, but I do hope that other car seat manufacturers will follow suit and bring similar car seats to the US market at more affordable prices. As far as I'm concerned, a reclining car seat should be an industry standard and not an overpriced alternative. The fact that babies should sleep on a flat surface is nothing new. I'm sure your grandparents were well aware of it. What's new (and hopefully will become "old" soon) is that in United States, we're prepared to close our eyes on a lot of "outdated" health risks in favor of conveniences. We tell ourselves that these beliefs are old-fashioned and that EVERYONE takes advantage of infant car seats outside of the car without any proven adverse effects. I know people whose infants literally live in a car seat all day long. They ride in it, they go for walks in it, they sleep in it at home. I always thought it was irresponsible, but when you're a sleep-deprived parent, you'll let anything go, as long as your baby seems happy. A reclining car seat is not as innovative as the current baby industry media buzz would have us believe. Flat reclining car seats have been available in Europe and Asia for years. Even the Cybex Cloud Q has been engineered in Germany. Seems like we, Americans are a little slow when it comes to questioning the old status quo. Unfortunately, despite the fact that SOME European car seats are way more advanced than American car seats, they cannot be used in the States because they have not been tested to meet US very questionable safety standards. Magic Beans has a great article on the difference between European and American car seats and their safety testing. Of course the safety of a car seat and it's performance in a crash test is top priority, but I do wish that the positioning of a newborn's developing spine in conventional infant car seats received a little more concern in the US as well. Instead it took a German brand to show us what we've been doing wrong all these years. Here are a few flat reclining car seats that have been in existence long before Cybex Cloud Q. 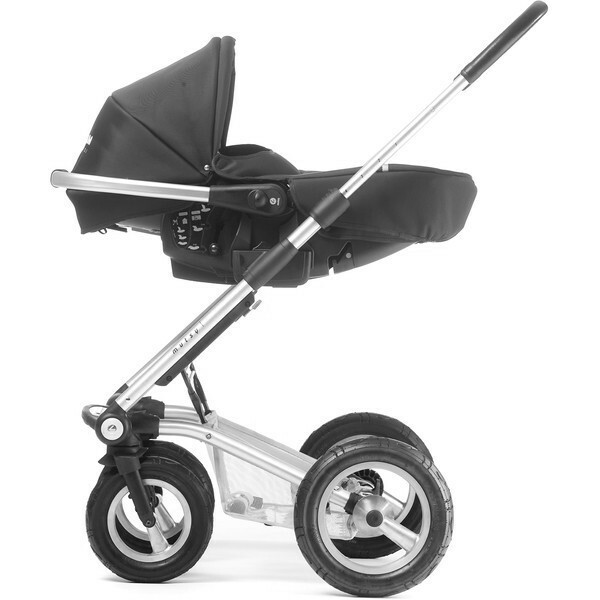 This is a car seat/bassinet that goes from your car to the stroller. The backrest angle is adjustable. 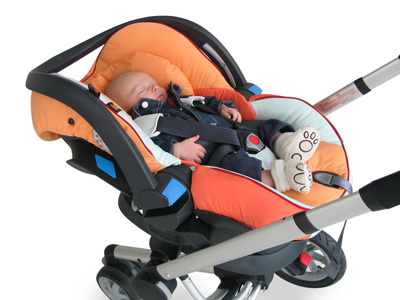 This car seat, made by Aprica Japan, can be used in a reclined position in the car! The possible configurations and all the innovative features of this car seat blow my mind. How I wish this car seat was approved for use in the US. The demo video makes me drool! Can be installed in either a lie flat position across the seat, or a rear facing upright position. This car seat also has a unique ventilation system.